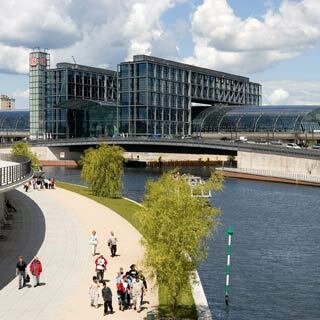 Start or interrupt your hop-on hop-off sightseeing tour of Berlin at stop Hauptbahnhof. The Berlin Hauptbahnhof (Berlin Central Station) is an architectural highlight and the biggest and most modern crossing station in Europe. It is also a popular shopping centre and meeting place.